How will China handle slower growth? Jump to media player China's economic growth slows to its weakest in 24 years, expanding 7.4% in 2014 compared to 7.7% in 2013. Is China's 'miracle economy' in trouble? Jump to media player The BBC's China editor Carrie Gracie visits the north-east city of Harbin to look at the problems plaguing the world's second largest economy. China 'over investment' hurt economy Jump to media player A private survey shows that China's key manufacturing sector is suffering a slowdown. Turkmenistan to meet China gas needs Jump to media player China is investing in Turkmenistan's energy sector to boost the supply of gas to its fast growing economy. 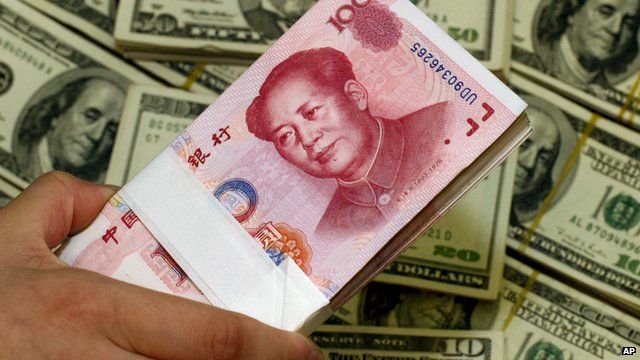 China eases investors' concerns Jump to media player Analyst John Kurtz assesses Chinese Premier Li Keqiang's move to ease concerns among foreign companies and investors. Will Chinese bank bad loans increase? Jump to media player Rising bad loans in China put the spotlight squarely on the earnings of the country's biggest banks. How will China adjust to lower growth figures? China's economic growth slowed to its weakest in 24 years, expanding 7.4% in 2014 compared to 7.7% in 2013. Growth in the world's second largest economy missed its official annual growth target of 7.5% for the first time in 15 years. But the annual growth figures still came in higher than market expectations of about 7.2%. Go to next video: Is China's 'miracle economy' in trouble?